Best Way to Lease a Car! The Alfa Romeo Brera is the picture of Italian style and flair and is a larger cooler version of the Alfa Romeo Mito. It has a V6 engine and exceptional Alfa handling. All things considered one would think that the Brera would be a huge hit. Unfortunately, the Brera is close to the bottom of the list among this years top twenty-car shoot out. This is due to the fact that the little Alpha delivers a stunning appearance, but not a stunning performance. The Brera has consistently under-performed the competition. One reason for this is the long gearing that makes the 260bhp engine seem slow and sluggish and lacking in top-end power. The 322Nm torque is equally disappointing. The Brera looks like it has power that it can’t deliver. The steering though nicely weighted lacks feedback. The Q4 all-wheel-drive provides excellent traction, but because the Brera has failed to outperform many of its competitors and is not built for speed, it is not likely that the all-wheel-drive feature will be needed much. In fact, when timed around a track the Brera came in last among the cars that participated. The Alfa Romeo Brera is a beautiful car but should be thought of more as a zippy GT than a sports car. A fully loaded Brera isn’t a cheap undertaking. If driven hard the Brera will prove to be costly at the fuel pump as well. This makes the diesel alternative very appealing. Parts, maintenance, and servicing costs should mirror that of Alfa’s 159. The Brera’s cabin is small but can accommodate front passengers with adequate room, but passengers riding in the rear may have a difficult time entering and exiting the vehicle. Rear passengers have little legroom, and all passengers have limited headroom. Despite the limited space inside the cabin, the Brera has a spacious hatch. Clear dials and large controls decorate the Brera’s center console, there are easily accessable controls located on the steering wheel as well. The car has a manual transmission and a gear shift that is long but precise. Front seat passengers will be reasonably comfortable in the Brera’s supportive seats, but headroom is limited. Road and engine noise has successfully been suppressed in order to ensure a pleasant ride. The rear seats are extremely limited on legroom and headroom. The Brera has large doors for easy entry, but the low roof can still make easy access a challenge. Exiting the vehicle is far easier than entering the vehicle. One major plus for the Brera is that it has a large hatch for carrying cargo. The Brera provides a clear view out the front, but the rear view is not as good. The rear window is small and allows restricted visibility, this could make parking difficult. The Brera has great driver appeal. It has a sports car look, but drives more like a coupe. This Alfa delivers a smooth ride and a variety of engine options including a diesel option. The diesel option is very attractive for drivers who plan on driving long distances or commuting between cities. This Alfa is not a family car. It is not spacious and can not comfortable accommodate a family. It would even be difficult to load and unload small children into the rear of the vehicle. 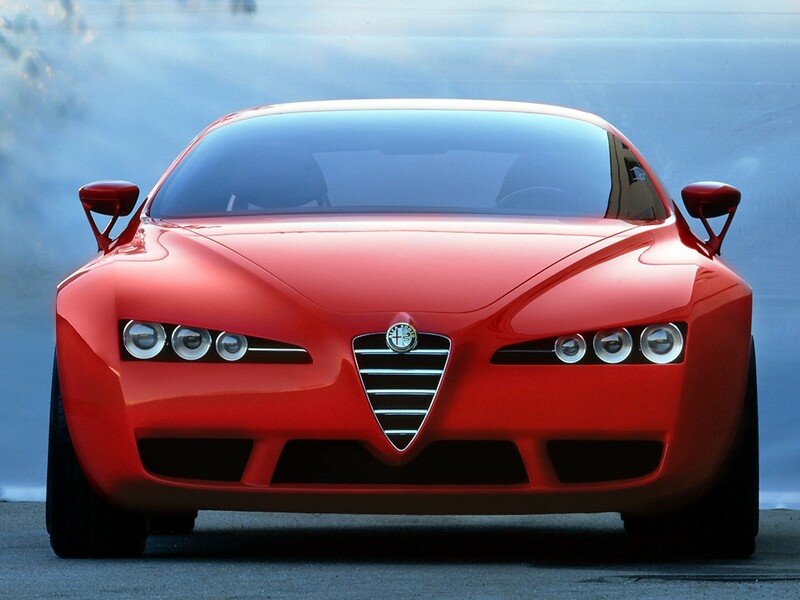 The Alfa Romeo Brera would not make a good first car. It would be expensive to service and maintain. It is not the fastest car in its sector, but it is a fast car for a first car. Insurance rates would be high for new drivers and limited visibility makes it difficult to park. Alfa Romeo has always sported a racy image. This car portrays a beautiful exterior that lives up to that image. The performance however, does not live up to the hype. The car does not perform to a true sports car capacity. The lack of quality performance measures have reflected badly on the Alfa Romeo Brera. The Brera is definitely a looker, and with such an attractive exterior façade it is easy to see why a theft deterrent system is necessary. The Brera comes with a comprehensive alarm and immobilizer system. The car provides remote central locking, and doesn’t provide an external handle for the rear hatch. 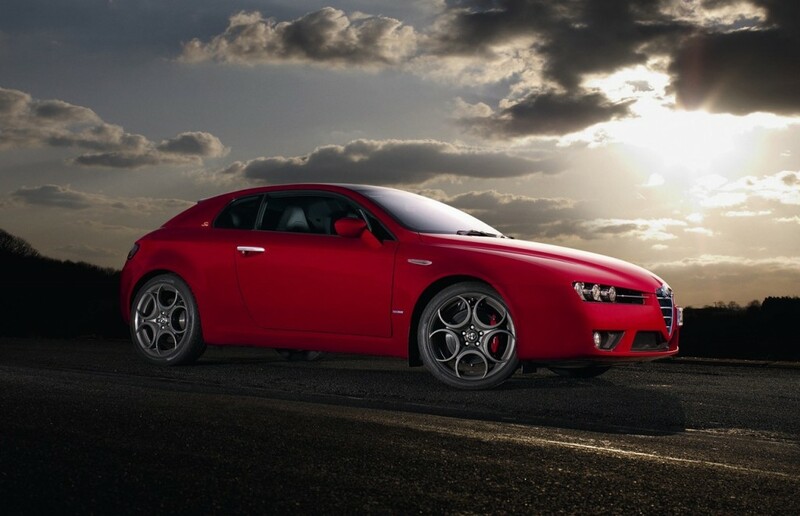 The Brera comes with plenty of safety aids including air bags and electronic stability aids. The safety features only ingage when necessary and allow the driver to enjoy the capabilities of the Brera. The stereo unit is prominently displayed and functions well. Duplicate controls are mounted on the steering wheel for convenience. Upgrades are available and with each upgrade performance and quality are enhanced. Alfa Romeo is famous for their red sports cars, and the Brera is no exception. The car looks great in red. The dark interior compliments the bright color and leather interior is one option that really compliments the sporty look. Other colors are available for those who wish to blend in a little more. The Brera has an incredibly beautiful and sporty exterior. This car has looks like a race car and has lots of style, but is not designed for speed. The car has some very sophisticated interior features that are designed to enhance the ride. Alfa has delivered another eye catcher that is more about class than power.